Yep, it's happening again. Lumiere London is back in January 2018, lighting up the cold, dark streets of London for four evenings with light art and light installations. The free festival is a collaboration between arts organisation Artichoke Trust and tourist board Visit London. It was big news two years ago, and it'll be even bigger this year. When is Lumiere London 2018? Lumiere London takes place in the evenings of 18-21 January 2018. Most installations are on from 5.30pm-10.30pm each night. It'll be tricky to get round it all in one night, so probably worth blocking out all four nights in your diary now. 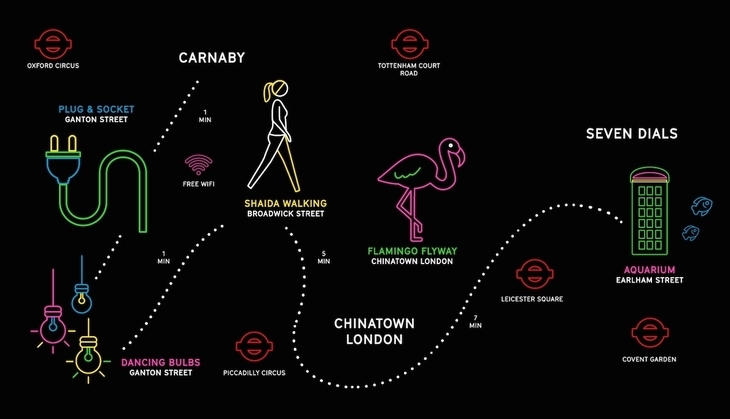 Where is Lumiere London 2018? Yes, all installations are completely free — but that's what draws the crowds. Do I need tickets for Lumiere London 2018? There are no tickets. Lumiere is completely free, no need to book. Just turn up at the locations and times above and treat your peepers to the sights. We'd advise getting there early though, as things will get busy, buses will be on diversion due to road closures, and tube stations are liable to close if they get overcrowded. What are the highlights of Lumiere London 2018? The full programme can be seen here, with more still being added, but we've got a few favourites picked out already. Cirque Bijou's Umbrellas is a roaming, choreographed performance featuring LED-lit umbrellas. It'll be popping up at various locations around the festival. We also like the look of Cosmoscope in Fitzrovia, a light sculpture inspired by both the universe and the flow of blood around the human body. Mystical, huh? Elsewhere, see a miniature version of yourself inside one of 448 special Kilner jars at Supercube. How's it different from Lumiere London 2016? For a start, it's bigger. Last time, it stayed firmly north of the river. This time, it's returning to those locations and adding Waterloo and South Bank to its remit. Secondly, completely new installations are coming to London this time round. Gone are the projected elephant and hypnotising stick men of Regent Street. The light up seesaws and Westminster Abbey illuminations are still around though. Things get busy. Very busy. Although some of the streets where the main installations are will be pedestrianised, it'll still get crowded. Main pinch points last year were Piccadilly and Regent Street. To avoid the crowds we'd recommend avoiding the first night (Thursday 18) and Saturday 20 January — although the weather will play a part in which nights are busiest. Speaking of which — wrap up warm. It's January, in London, and although there are plenty of bars, restaurants, cafes and pubs to duck into on the way, the crowds move very slowly in some parts, keeping you from your next warming pint. Dress accordingly. Some roads (and possibly some tube stations) will be closed for Lumiere. Details have yet to be announced — keep an eye on this page. 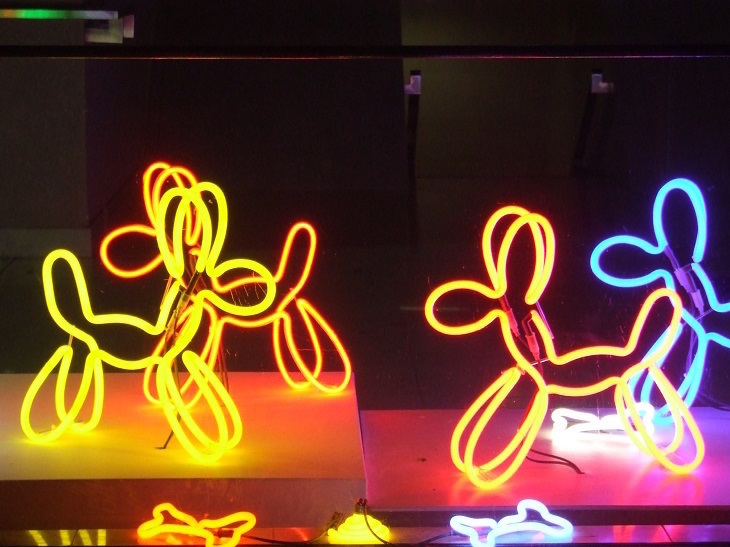 Where can I see photos of Lumiere London? Can't make it to the festival, or rather see it from the comfort of your own home? Social media will no doubt be awash with photos and videos of the happenings. Follow us on Instagram, Facebook and Twitter for our updates. Artichoke Trust is also worth following (Facebook | Twitter | Instagram), as is Visit London (Facebook | Twitter | Instagram). The official hashtag for the event is #LumiereLDN — just type that into your Twitter or Instagram search box and let the internet do its magic. Where can I get updates on Lumiere London 2018? The Lumiere website has a latest updates page to help you plan your evening(s). The Visit London app will have much more information about Lumiere closer to the time. It's also worth following Artichoke Trust, the organisation behind Lumiere, on Twitter. Find out more about Lumiere London 2018 on the official website.